NOTE: This event has been archived. 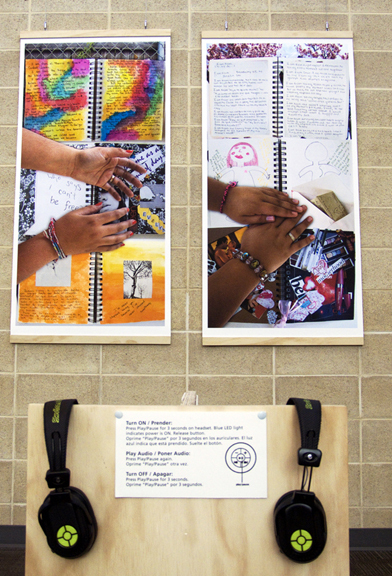 516 ARTS, NHCC & The Academy for the Love of Learning presented a community storytelling event and exhibit for El Otro Lado: The Other Side, a collaborative, interdisciplinary art project led by artist Chrissie Orr and writer Michelle Otero. The event was emcee'd by Michelle Otero and featured project participants and New Mexico poets Andrea Serrano and Manuel Gonzales. 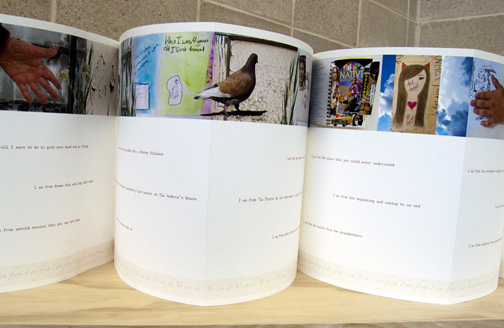 El Otro Lado: The Other Side uses the creative process to address issues of migration, human rights and sense of place. The project empowers the universal need to see and witness ourselves clearly in the world, as well as to be seen and known by others. Orr and Otero have led workshops over the past year with four communities in Albuquerque: El Centro de Igualdad y Derechos, Native American Community Academy (NACA), Barelas Senior Center and Westside Community Center. 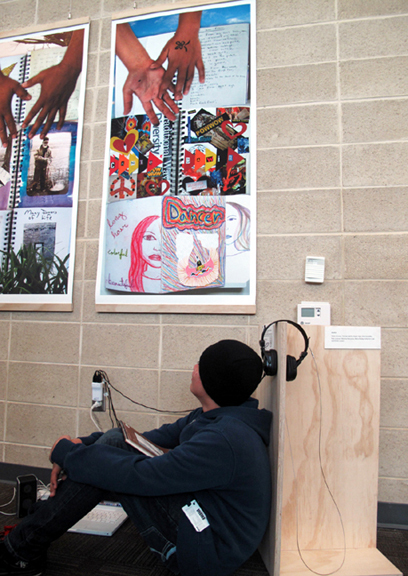 Sharing their stories has given El Otro Lado participants a sense of freedom through this experience of being seen and heard. The expression of their personal identity is revealed through the distinctiveness of their art and handwriting, and by their literal voices in the oral storytelling. 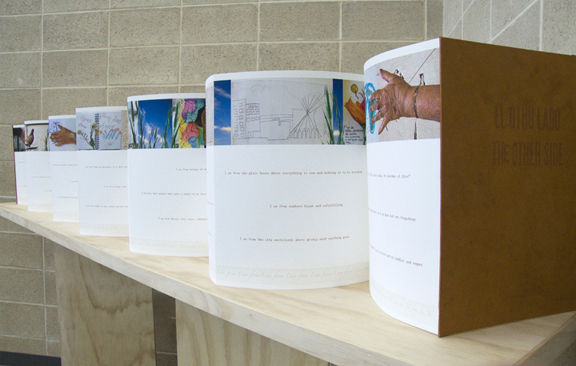 This process culminates in an installation of visual and audio representations and oral storytelling. The event celebrates the opening of the exhibit, which runs through January 10, 2011. 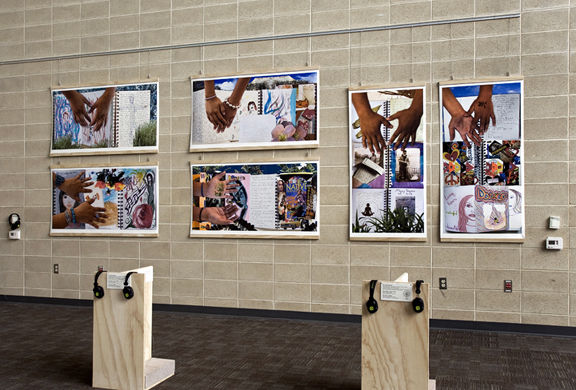 El Otro Lado: Albuquerque is presented through a partnership between The Academy for the Love of Learning, 516 ARTS, Encuentro and Connecting Community Voices. This event is made possible in part by the New Mexico Humanities Council, Albert I. 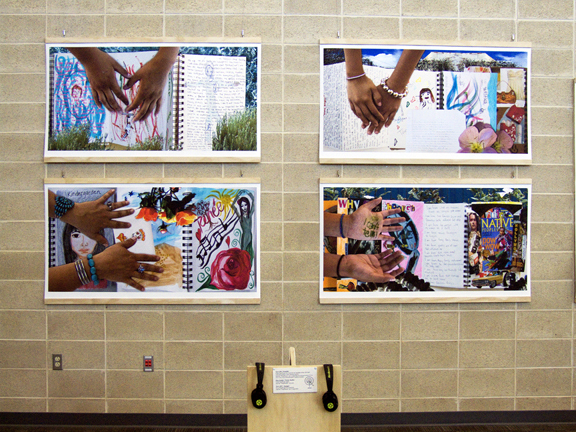 Pierce Foundation, the City of Albuquerque Public Art Program and McCune Charitable Foundation. Download the archived press release for this event. "We are from the echoes of many voices"
"Somos de los ecos de muchas voces"